This entry was posted on May 14, 2018 by Zoe Thomas. This guest blog by Claudia Gimeno explores healthy eating in the office, something that's just as important for our work health as sitting correctly and moving enough. When you’re in an office all day, it can be difficult to eat healthily. Not only can sitting down for eight hours make you feel lethargic, it can also prevent you from eating regular, healthy and fresh meals. However, with a bit of forethought and planning it’s possible to be an office worker and live a healthy life. 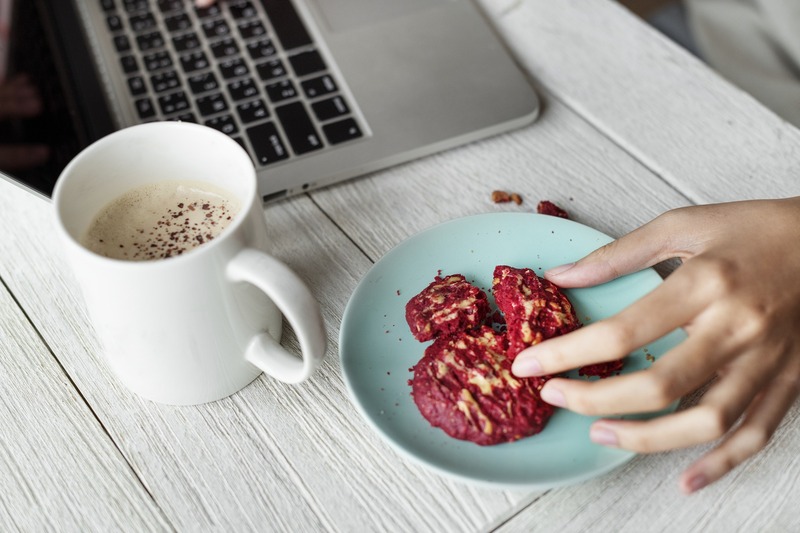 We have some key tips on eating healthy while at work, from knowing your health status (like what is a healthy BMI) so you can adjust your lifestyle accordingly, to some advice on wholesome snacking at your desk. The biggest motivator for eating well, wherever you are, is knowing the current health status of your body. If you’re aware of whether you need to lose weight, get more exercise or stop smoking, that can be a major impetus to get you to do it. So, if you’re going on a health kick, why not start by evaluating your health? Learn about what is a healthy BMI and measure yours according to your weight and height. This will tell you whether you need to prioritise shedding any pounds. Think about your habits, like drinking and smoking. It’s useful to connect these to your work – do you drink more when you’re with colleagues or at work events? Once you learn your health status, you’ll know what you need to do to improve it. If after checking your BMI you’ve discovered that you need to get healthier, how do you start when you’re working an office job Monday to Friday? The key to eating well at the office is to plan ahead. If you need to eat a quick lunch and have nothing to hand, it’s easy to get something unhealthy from the office canteen or a local sandwich shop. Instead, take some time at home to plan and prepare healthy meals to take in with you each day. It’s also important to tackle the snack attacks that are so common at work. Do you get that mid-afternoon slump and reach for sugar to boost you back up? It’s understandable, but these small habits can really add up. Why not try keeping healthy snacks in your drawer for when you get hungry and need a wholesome pick-me-up? Try raw nuts, fruit or crunchy veg with a homemade dip. Finally, while you may be on your personal mission to get healthier, it’s likely that there are other people in your office doing the same. When it comes to work meals out why not speak up for healthy choices? It is likely that lots of your colleagues will be keen for this too. Likewise, if everyone is bringing in cake for a birthday or celebration, why not provide a healthier option like fruit and natural yogurt? These kinds of thing can make all the difference! Those are my top tips for staying healthy at work. With a little forethought and planning you’ll be able to stay fit and healthy no matter what's going on in the office!